Sparrow Bakery, Stuarts of Bend, The Workhouse, Cindercone Clay Center, The Cube and Cement Elegance. Special Last Saturday, July 30, 6-10pm with Furniture Flip Design Challenge. Free to attend, donations welcome. Armature is a diverse collective of artists brought together by the common thread of expression. Paint, ink, pencils, photographs, dance and words are the underlying structure, or armature if you will, used to produce the language with which we speak. Artwork by SageBrushers Art Society artists. Beautiful handmade stoneware for baking, cooking, serving and beautifying your home. 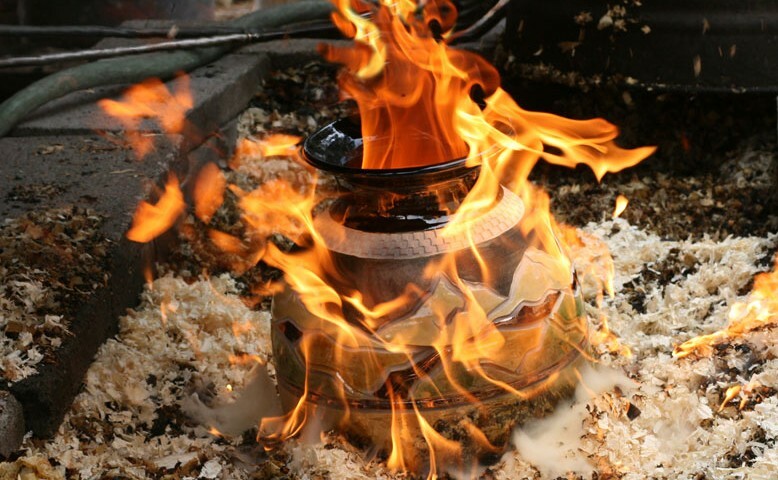 All pottery is made one at a time on a potter’s wheel and is lead free, ovenproof, microwave and dishwasher safe. 19889 Eighth St., www.CircleOfFriendsArt.com, 541-706-9025. Central Oregon Community College Fine Arts and Communication Department hosts one of the Portland 2016: A Biennial of Contemporary Art exhibits thru September 18. Opening reception 5-7pm Saturday, July 16, in Pence Gallery. David Bithell—an interdisciplinary composer, artist and performer exploring the connections between visual art, music, theatre and performance—will be creating a light and sound piece for ehe Gallery. 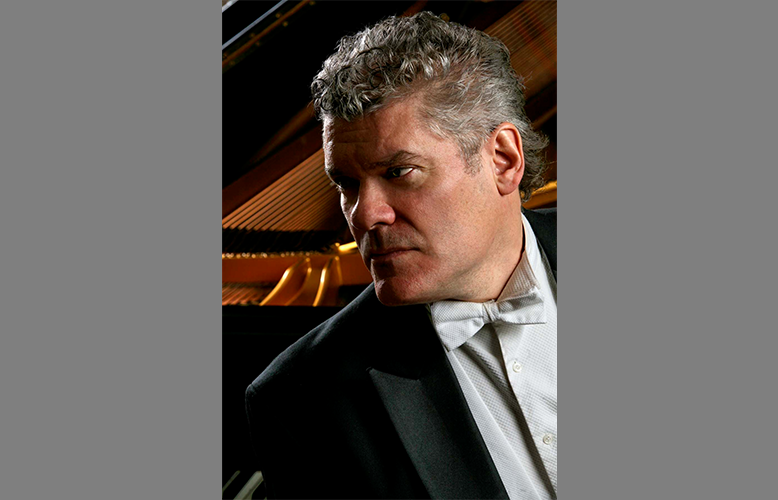 Utilizing new technologies and real-time interactive environments, his work brings the precision and structure of contemporary music and audio practices together with an understanding of performance, narrative and humor. Bithell is an associate professor of digital art at Southern Oregon University where he heads the cross-disciplinary Studio for Art and Technology and is a core faculty member of the Center for Emerging Media and Digital Arts. During the summer, the Gallery is open 12-5pm Thursday thru Saturday. Winter Comes: Oregon’s Nordic Ski History exhibit details the strong influence of the Scandinavian culture that pushed Central Oregon to the forefront of Nordic skiing in the early 1920s. The 1,200 square foot, interactive exhibit features oral histories from sons and daughters of ski pioneers, the history of Nordic skiing, as well as reproductions of past skiing equipment and clothing to current technology. Thru November. Rain, Snow or Shine thru July 17. Art for a Nation—Inspiration from the Great Depression thru October 2. Smokejumpers: Firefighters from the Sky thru February 12, 2017.
Business Walls Become Gallery Walls! 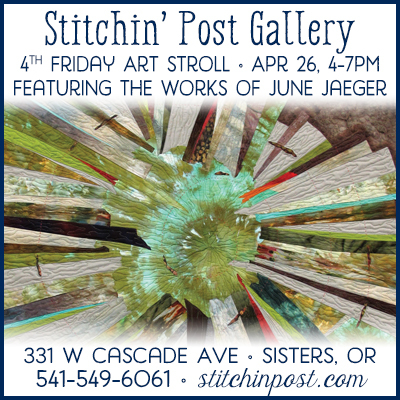 Featuring artists and photographers from throughout Central Oregon. Thru August 5. Looking Glass offers multi-media arts and crafts, classes and events, a café and a patio area. The café is home to bi-monthly art exhibitions featuring many award-winning artists and photographers. All exhibitions will be facilitated by the Friends of the Redmond Library Art Committee. Featuring photography by Patricia Oertley and jewelry by Marianne Prodehl. Exhibiting wonderful paintings by Mixer Wednesday artists. Thru July 29, Wed and Fri. 2-4pm. Reception Saturday, July 9, 2-5pm. All Member Show, July 29—October 28. Wed. and Fri. 2-4pm. Prison ministry’s paintings and drawings are going to be shown in the Hallway of HeART off the first floor going west to the Heart and Cancer Depts. Fourth Friday Art Stoll in Sisters on July 22, 4-7pm. Fourth Friday Art Stroll July 22, 4-6 pm. Exploring Great Artists. 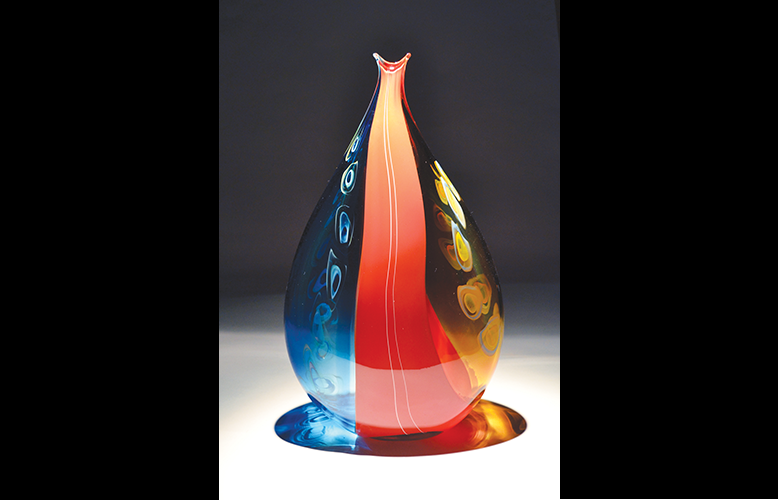 Thru July 21: oil painter Katherine Taylor, who uses mood, color and paint texture to form two dimensional images that suggests a three dimensional experience and Jeff and Heather Thompson, glass artists who create an intelligent blend of contemporary and traditional glass blown sculptures. July 22—August 25: mixed-media artist Patricia Freeman-Martin, whose unique canvases reflect a keen observation of the iconic symbols of the western landscape and book artist Kelley Salber, who imaginatively alters books and boxes to form miniature worlds. Reception Fourth Friday Art Stroll, July 22, 4-7pm. Scott’s designs in metal prompt imagination and admiration, wide ranging decor with hints of other, more romantic eras, to a decidedly whirlwind love affair with the future. Fourth Friday Art Stoll in Sisters on July 22, 4-7pm. Kathy Deggendorfer studio show and sale, Henhouse Rock. Artist reception July 7, 3:30-6pm. Open studio July 6-9. 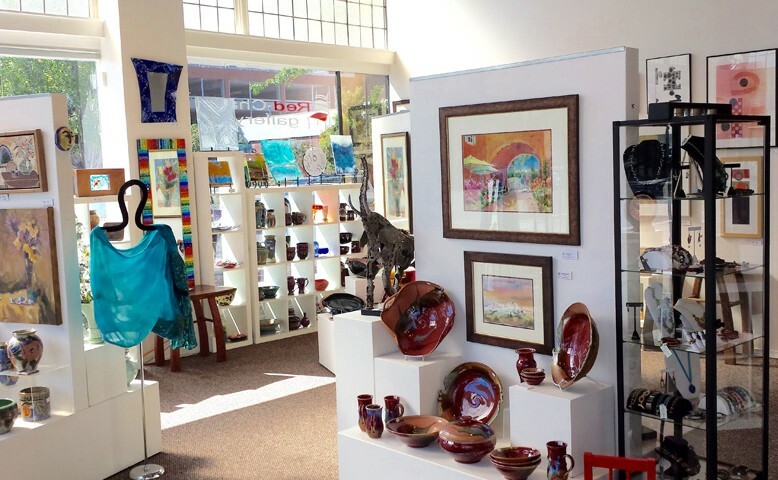 Hand-painted tiles ceramics, art cards, jewelry, abstract paintings and impressionistic landscapes, hand-painted mugs, bright decorative ceramics, wire baskets, tiled end tables, clay tribal masks. Featuring black and white photographs by Collin Lamb. Opening July 22 an exhibit by Christina Brown, Laura Jaszkowski, Mary Goodson and Terry Grant. Goodson layers sheer dyed silks and stitching to create texture and depth. Grant is a fiber artist creating wall art using commercial and recycled fabrics and using quilting and surface design techniques. Jaszkowski is a textile artist who creates with needle and thread, including artistic quilt designs, as part of her creative repertoire with wall hangings out of a variety of textiles or a combination of textiles and mixed media, usually using the raw edge appliqué method and free-motion quilting. 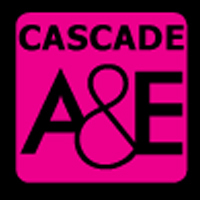 Art Adventure Gallery is one of 25 partner venues around the state hosting exhibitions as part of the Portland 2016 Biennial, curated by Michelle Grabner and presented by Disjecta Contemporary Art Center. Artists to be featured in Madras are Pat Boas and Jon Raymond. Opening reception July 16, 2-4pm. Kindred Spirits: The Artistic Journey of Lillian Pitt Exhibit on display thru September 10. 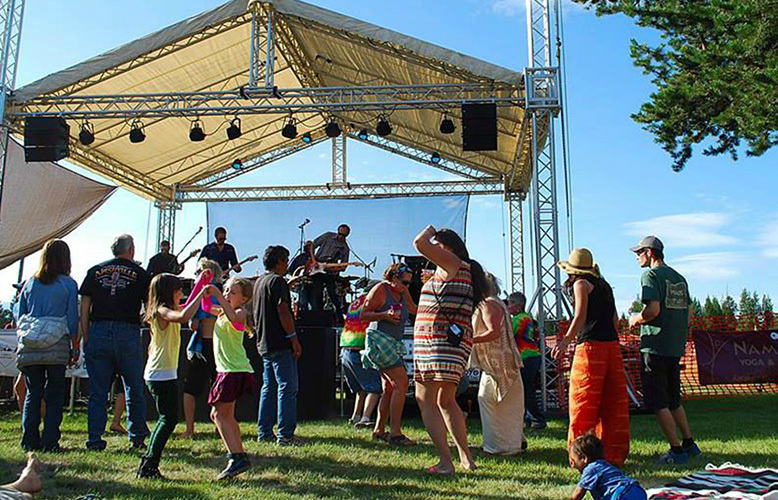 July 8 Prineville businesses host the widely acclaimed Art Crawl. Displaying the work of 40+ artists including woodwork, photography, jewelry, watercolors, acrylics, art deco furniture and handmade scarves. Open Monday-Friday, 9am-5pm. Original oils, reproductions, classes, gift shop. The eclectic paintings of Austrian artist, Alfred A. Dolezal combine illuminant colors with alternative visions of reality. These contemporary oils on canvas examine the deeper meaning of life and tell a human interest story. Combining profound messages with thought-provoking imagery and evocative symbolism, they are much more than a painting. The caricature art adorning the bottles of Maragas wines was created by Doug Maragas’ mother, Joanne Lattavo, in the late ‘50s and early ‘60s. Joanne was an accomplished oil painter with a renowned art gallery. From her collection comes art that will be initially displayed in the Gallery. Thru September, exhibit of fine art created by Central Oregon artists. 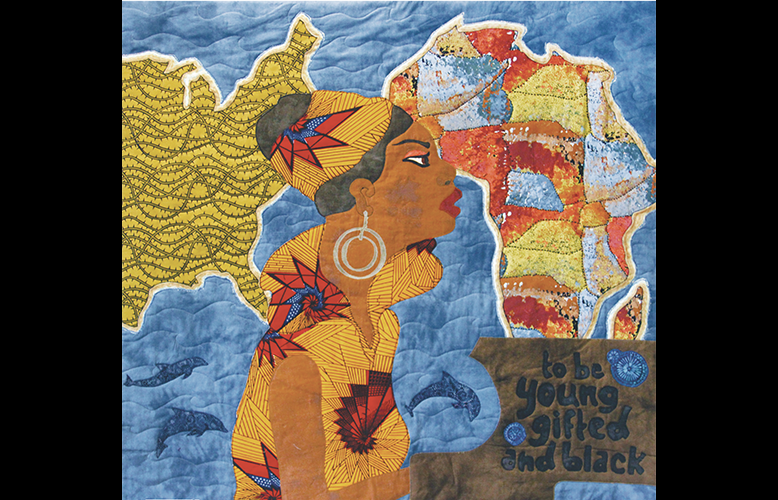 Undercover Quilters Book Club, a local book club/quilters group, will be displaying an interpretation of On The Divinity of Second Chances by Kaya McLaren in fabric and mixed media. The Third Friday Strolls are to encourage people to come downtown and see what Redmond has to offer. Local products, shops and services are all within reach in the downtown core. This is a great opportunity to socialize with neighbors, meet business owners and keep dollars working in the community we love to call home. The Common Thread Quilters of Redmond are pleased to present their patriotic quilting projects during July. The group meets once a month to create pieces that they donate to various groups and individuals in the area. The group of about 30 quilters invite you to come see their red, white and blue creations. St. Charles Health Care will celebrate the new show thru July. Eleven new artists plus local established artists for a total of 81 pieces on the second floor, then another 30 on the first floor. Fabulous art, photography and mixed media. Submissions for July show are due June 5 to lindartsy1@gmail.com.